CompactPowerMonitor - Laser Beam Diagnostics - Laser Mechanisms, Inc. The PRIMES CompactPowerMonitor (CPM) series of products make a big impression thanks to their compact design and ease of handling and use. Depending on the version, laser powers from 0.1 to 20 kW can be measured. This is mainly determined by the absolute power and the maximum power density of the laser beam. The various versions of the CPM differ primarily in their absorber size and the required flow rate of the cooling water. Connection, operation and handling of the devices is the same in each case. 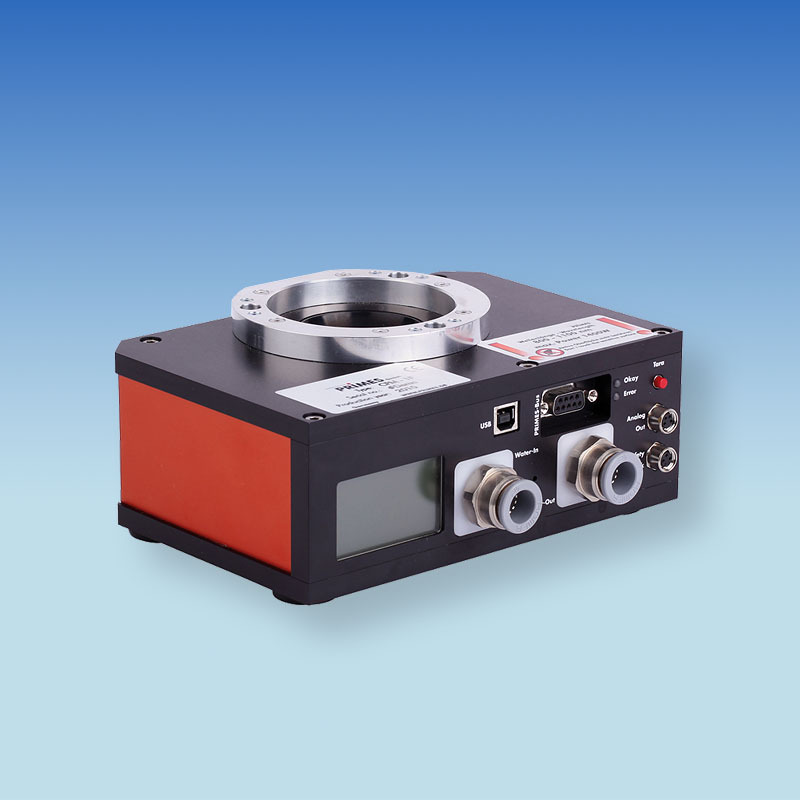 The CompactPowerMonitor measures the raw beam power of continuous wave laser sources in the wavelength range of solid-state lasers (YAG) or CO2 lasers, depending on the calibration. The CPM F-1 is a calorimetric power meter for the range of 100 W to 1.4kW – based on the CPM F-10 CompactPowerMonitor. The format was significantly reduced in order to be able to work in very confined laser processing cells. The CPM F-10 deserves particular attention, a device distinguished by its large flat absorber and its low weight, as well as extremely low back reflection. 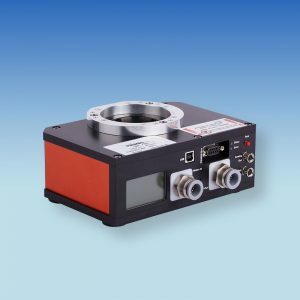 The calorimetric measurement principle allows high-precision measurements independent of the beam diameter and the strike position on the absorber. Its “big brother” has also been optimized in weight. The clear aperture of 135 mm allows power measurement far behind the focal plane or also of very large raw beam diameters, e.g. behind a telescope. For significantly higher power densities, the CPM C-9 with a conical reflector and cylindrical absorber is used. The allowable intensity is up to 10 kW/cm2. All models are water-cooled and intended for long-term use – also with deionized water. The fiber adapter serves to directly couple a fiber to the power meter. This means that laser power measurements are possible under safe conditions even on high-power lasers. For CompactPowerMonitors CPM F-1, CPM F-10 and CPM F-20, adapters are available for a number of common fiber connectors, such as LLK-B and LLK-D and also QBH and QD.